Membership | Cabot's Museum | Nestled in the scenic hills of Desert Hot Springs, a Hopi-inspired pueblo sits against a hillside. Membership at Cabot’s Pueblo Museum is a wonderful way to support the Museum and its various programs while also gaining Member-only perks! Members become treasured friends and receive invitations to special events including our annual Evening at the Pueblo celebration, Member-only preview of our Cultural Weekends, information about our community programs, and so much more! 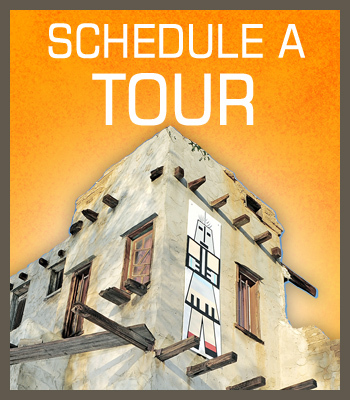 Cabot’s Pueblo Museum is a 501(c)3 non-profit corporation working to preserve and share the history and legacy of Cabot Yerxa, his art, and his homesteading journey in Desert Hot Springs. Cabot’s Pueblo Museum is managed in partnership with the City of Desert Hot Springs.